Brand new still in box. 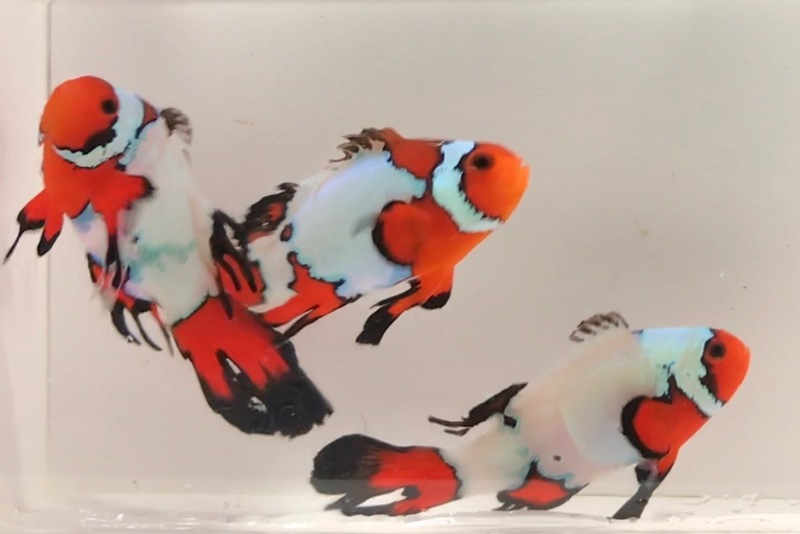 $214.99 currently on Bulk Reef Supply. Neptune DŌS. Unsure if it works. Can be used for parts. Aquabus ports are damaged and not aligned with the cover. See photo. Green Plating Montipora. XL Frags around 4"
Extra Large Forest Fire Digi. 3.5" plus frag. 2-3 Polyps of this amazing vivid red zoa. 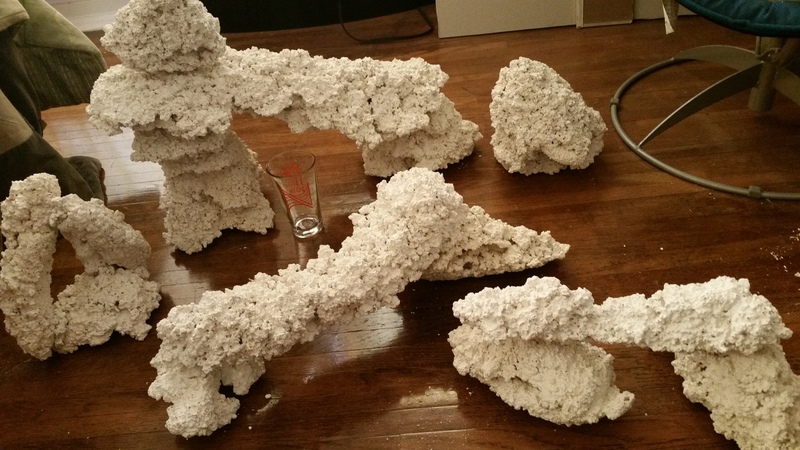 This is highly aerated portland cement and is 100% reef safe. 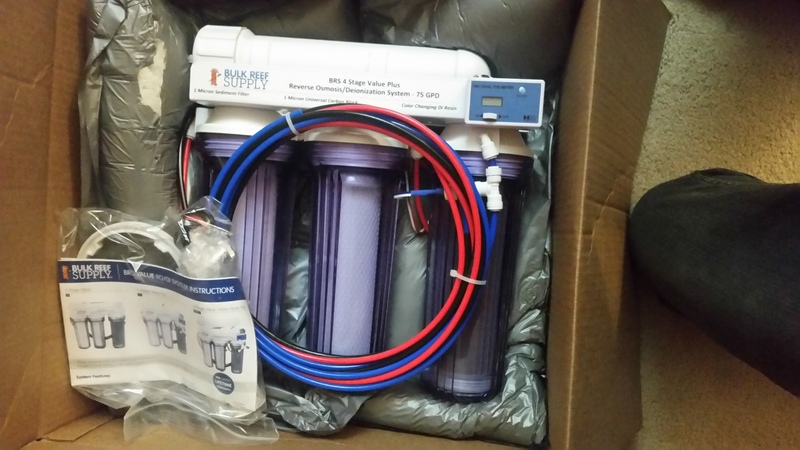 I bought a bunch for a tank I was working on and this is what is left. Large formation in the back (4 pieces total) $90, back right $15, back left $30, middle formation (3 pieces total) $40, front right formation (3 pieces total) $35 or take all for $180. 16 oz glass for size reference. Multi piece formations are loose and come with epoxy and cement crumbles to cover epoxy. Scape your entire tank for a fraction of the cost of heavy liverock. Message with what pieces you want after requesting please. Fully encrusted 1” Frags of Jack-O-Lantern Lepto. Quite possibly one of the easiest and unique corals you can get. The detail on this coral is insain. Neon Green Birdsnest. XXL Frags around 4”+. HUGE Pieces. Fully encrusted 1” Frags plugs. One of the best corals to put in low light areas. Fully Encrusted and gowing What You See Is What You Get Tabling Acropora. Frag is bushy and around 2"
Probably one of the coolest and more unique tables I've have ever seen. Certainly a huge standout among my own collection. WYSIWYG. Two frags available. 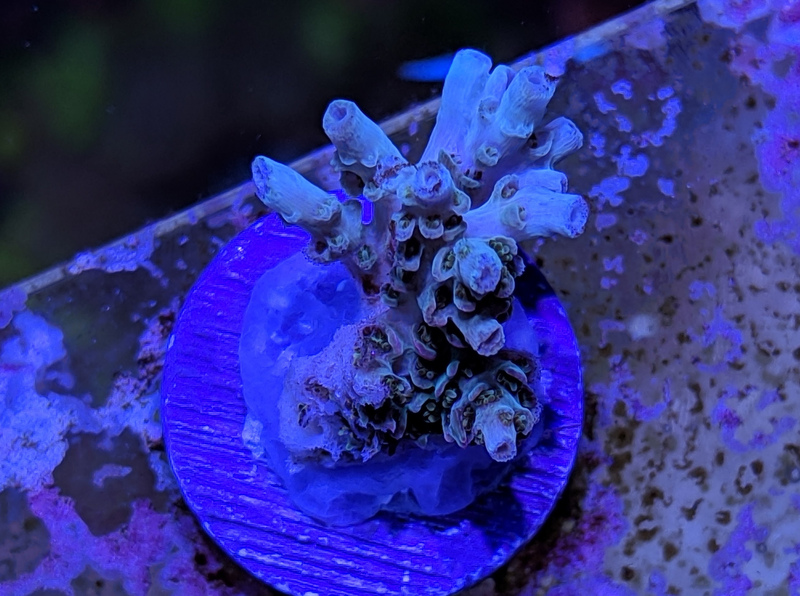 Colony picture and Battlecorals picture included for reference. Probably one of the coolest and more unique tables I've have ever seen. Certainly a huge standout among my own collection. WYSIWYG! Larger frag. Battlecorals picture and colony picture for reference. What You See Is What You Get Ultra Rainbow Acan. Gown under LED/T5 20k spectrum combo for over 4 years. This will color up even better if you have bluer lighting. This was stung a few weeks ago by a frogspawn that fell over but as you can see its coming back already. Two heads of this beautiful hammer. 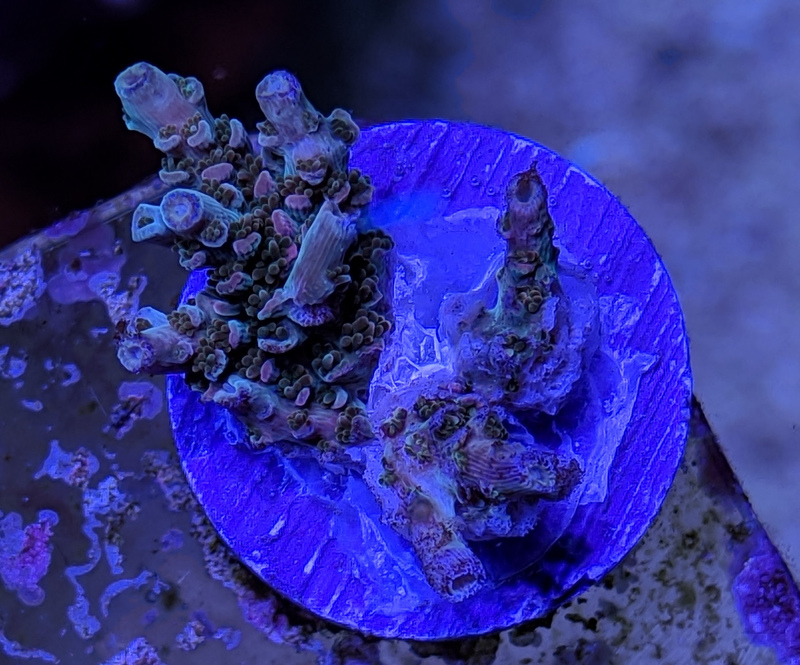 1” frags of Red Plating Montipora. A single Head of Frogspawn. ~2” when open. Single Head of Splatter Hammer. ~2” when open. 5-8 Polyps of Jack Frost Paly. A light blue and mint green paly.